World number two Justin Rose won the last two holes to level his match with Eddie Pepperell and remain unbeaten in the WGC Match Play in Texas. On Friday Rose faces American Gary Woodland, who has won both his matches, to decide who reaches the last 16. Rory McIlroy continued his 100% start, Tommy Fleetwood halved with Kyle Stanley, while Tiger Woods, Dustin Johnson and Ian Poulter all lost. The 16 winners from the four-man groups make Saturday's knockout stage. The quarter-finals will also be played on Saturday, with the semi-finals, final and third-place match taking place on Sunday. Rose, who was three down after 14, holed a birdie putt from off the green at the 17th to keep the match alive and then rolled in another birdie from 15 feet to finish all square with his fellow Englishman. Open champion Francesco Molinari was four up after only seven holes against Thorbjorn Olesen and made it seven match play wins in succession - following his five at last year's Ryder Cup - with a 4&3 victory. Three-time winner Woods, playing in the event for the first time in six years, executed the up and down of the day, kneeling to play a left-handed shot using the back of his club to extricate a ball buried beneath branches to within four feet of the flag. But he hooked a tee shot into the water at the 13th to go two down and lost 2&1, meaning he needs to beat Patrick Cantlay on Friday to have any chance of progressing. World number one Johnson, the 2017 champion, lost to Branden Grace and now needs the unbeaten South African to lose to Chez Reavie on Friday. Defending champion Bubba Watson will not qualify after losing for the second day in succession, a 42-foot putt on the opening hole helping Billy Horschel to a 2&1 win. Henrik Stenson, winner in 2007, ended twice former winner Jason Day's hopes and on Friday lines up against veteran Jim Furyk to find the winner of Group 12. McIlroy eagled the 12th from five feet to go one up against South African Justin Harding en route to a 3&2 win and needs to avoid defeat against Matthew Fitzpatrick - yet to win this week - to seal the group. Fleetwood and Stanley are level at the top of Group 11 and the Englishman faces former Open champion Louis Oosthuizen next. In gusty conditions at the Austin Country Club, world number 65 Lee Westwood birdied the last from a perilous position in the rough to finish all square with Rafa Cabrera-Bello and plays compatriot Tyrrell Hatton on Friday. 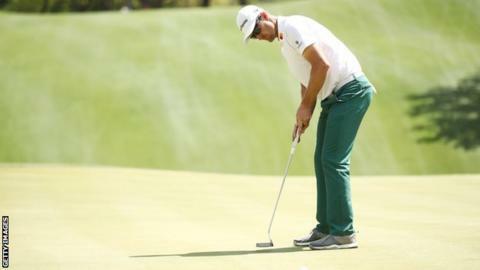 Should Westwood beat the world number 37 and Cabrera-Bello defeat Xander Schauffele, all the players in the group would have the same number of points and a four-way sudden death play-off would result. Poulter, who beat Paul Casey in the 2010 final, lost to Keith Mitchell one up and all four players in his group have one point. The 43-year-old plays world number 15 Tony Finau on Friday.